A Day Late and A Dollar Short: Pepsi Next - **FREE** 2-Liter Bottle! 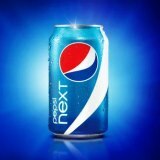 Pepsi Next - **FREE** 2-Liter Bottle! Spin the wheel, watch a short video, get a **FREE** 2-Liter bottle of Pepsi Next! Simple. Easy. Visit the Pepsi Next website to snag yours.